The 70th anniversary of Cannes Film Festival takes place this month (17 to 28 May 2017), bringing the glitz of Hollywood to the glamorous French Riviera. Winner of the Cannes Film Festival's prestigious Palme d'Or in 1960, Federico Fellini's La Dolce Vita is known for having some of the most iconic cinematic shots in film history. The Via Vento is the elegant street in which most of the film centred around, and during the 1950s and 60s was famed for its well-known and wealthy clientele. Next, make your way to the Roman baths of Caracalla's Thermals (Terme Di Caracalla) where Anita Ekberg danced with Marcello Mastroianni before heading back to the city for that fountain scene. The famous Trevi Fountain was where Ekberg and Mastroianni created some of the most famous cinematic scenes ever. While it's a huge tourist hotspot, it's well worth a visit to take in this iconic filming location. As Bond, Sean Connery visited Amsterdam in the 1971 film Diamonds Are Forever, where he impersonates a smuggler. 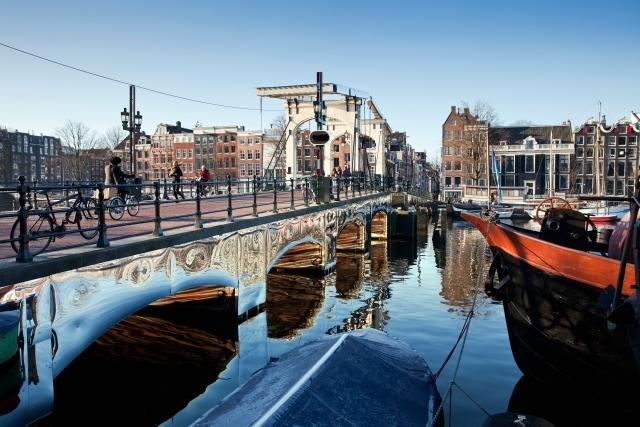 The impressive Skinny Bridge, or Magere Brug, over Amsterdam's canal is featured within the shots filmed in this vibrant city, which you can still visit today and is especially beautiful seen lit up at night. During his mission to meet contact Tiffany Case, Bond travels to a canal-side house, situated on Reguliersgracht 36 - it retains much of its appearance from when filming took place in the 70s. Much of Alfred's Hitchcock's acclaimed film, To Catch a Thief, was shot in and around Cannes on the French Riviera. 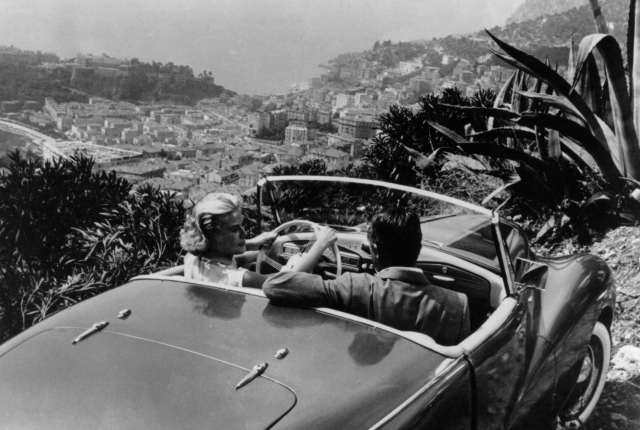 Its decadent backdrop of the picturesque South of France coupled with Cary Grant and Grace Kelly's electric chemistry will have you itching to explore the palatial streets and glamorous beaches. You can visit the impressive Hotel Carlton (now the Hotel InterContinental Carlton), where much of the film was set and is now ideal for film-star spotting, especially during the Cannes Film Festival. To recreate the leading actor's famous car scene where they look over the Monaco skyline, take a drive up the picturesque Grande Corniche – bonus points if it's in a vintage open top car. 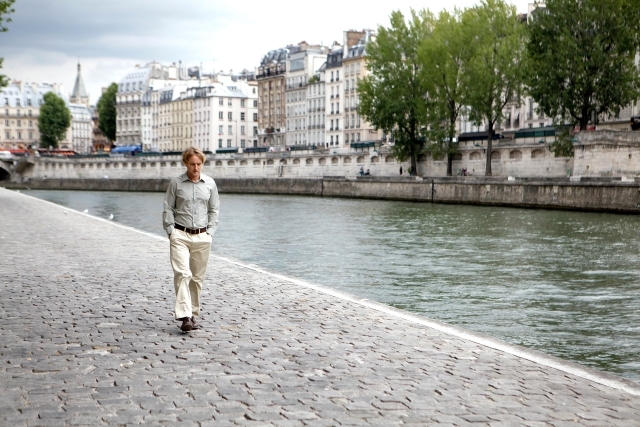 Woody Allen's critically-acclaimed Midnight in Paris takes you on a whistle-stop tour of the most beautiful places that Paris has to offer. By visiting some of the spots that serve as backdrops to Allen's film, you can tick off many of Paris' best sights. Many of Gil's scenes (played by Owen Wilson) take place along the banks of the Seine, however one of the best views can be found on the peaceful island, Île de la Cité, just behind the Notre Dame. This was where Wilson and Carla Bruni filmed a scene together. You can also visit the Parisian flea market that Wilson strolls through: Les Puces de Saint-Ouen located at Porte de Clignancour, which is the largest antique market in the world. 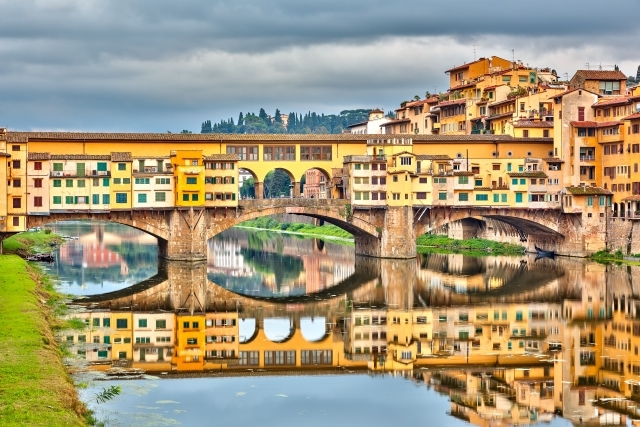 A Room with a View, the film adaptation of E.M Forster's novel from 1985, showcases some of the best sights of historic Florence. The 'view' the title refers to is that of the Ponte Vecchio over the Arno River. You can admire the bridge from afar or stroll across it yourself, where you'll find an array of shops and merchants set up along it. You can also follow in Helena Bonham-Carter's footsteps and visit the Basilica of San Croce, where you can find Dante's tomb, and Piazza della Signoria, Bonham-Carter witnesses a knife fight and is rescued by the handsome Emerson, played by Julien Sands. Easily reached from Naples, the Italian island of Ischia was one of the main locations where The Talented Mr Ripley was shot. There, you can visit Ischia Ponte, the busy square where Ripley (Matt Damon) arrives on his mission to befriend Dickie Greenleaf (Jude Law), and Bagno Antonio – the private beach where the two meet for the first time. Dickie's seaside villa, Palazzo Malcovati, is also on the island and can be found on Ischia Ponte's main street, Via Luigi Mazzella. If you're a fan of The Godfather trilogy, then a trip to Sicily is obligatory. On the island, you'll find the town of Corleone, which is where the infamous family from the films hailed from. However, if it's film locations you're after then travel to Forza D'Agro and Savoca. It's in Savoca where you can find Bar Vitelli and the church where Michael and Apollonia were married. Another Woody Allen film that beautifully showcases Europe, Vicky Cristina Barcelona is set in the unique city of Barcelona. Many of the film's scenes feature some of Gaudi's most impressive landmarks, such as the Sagrada Familia, the famous unfinished cathedral, Park Güell and Casa Milà - all of which can be visited by tourists. The city, famed for its architecture, is perfect for film buffs looking to retrace the steps made by the characters of this modern love story. Another Woody Allen film that beautifully showcases Europe, Vicky Cristina Barcelona is set in the unique city of Barcelona. Many of the film's scenes feature some of Gaudi’s most impressive landmarks, such as the Sagrada Familia, the famous unfinished cathedral, Park Güell and Casa Milà - all of which can be visited by tourists. The city, famed for its architecture, is perfect for film buffs looking to retrace the steps made by the characters of this modern love story. 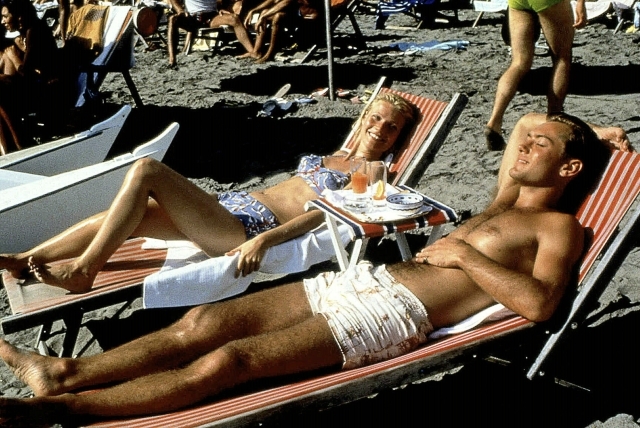 Much of Alfred’s Hitchcock’s acclaimed film, To Catch a Thief, was shot in and around Cannes on the French Riviera. Its decadent backdrop of the picturesque South of France coupled with Cary Grant and Grace Kelly’s electric chemistry will have you itching to explore the palatial streets and glamorous beaches. You can visit the impressive Hotel Carlton (now the Hotel InterContinental Carlton), where much of the film was set and is now ideal for film-star spotting, especially during the Cannes Film Festival. To recreate the leading actor’s famous car scene where they look over the Monaco skyline, take a drive up the picturesque Grande Corniche – bonus points if it’s in a vintage open top car. Woody Allen’s critically-acclaimed Midnight in Paris takes you on a whistle-stop tour of the most beautiful places that Paris has to offer. By visiting some of the spots that serve as backdrops to Allen’s film, you can tick off many of Paris' best sights. Many of Gil’s scenes (played by Owen Wilson) take place along the banks of the Seine, however one of the best views can be found on the peaceful island, Île de la Cité, just behind the Notre Dame. This was where Wilson and Carla Bruni filmed a scene together. You can also visit the Parisian flea market that Wilson strolls through: Les Puces de Saint-Ouen located at Porte de Clignancour, which is the largest antique market in the world. Easily reached from Naples, the Italian island of Ischia was one of the main locations where The Talented Mr Ripley was shot. There, you can visit Ischia Ponte, the busy square where Ripley (Matt Damon) arrives on his mission to befriend Dickie Greenleaf (Jude Law), and Bagno Antonio – the private beach where the two meet for the first time. Dickie’s seaside villa is also on the island and can be found on Ischia Ponte’s main street Via Luigi Mazzella – it’s Palazzo Malcovati. If you’re a fan of The Godfather trilogy, then a trip to Sicily is obligatory. On the island, you’ll find the town of Corleone, which is where the infamous family from the films hailed from. However, if it’s film locations you’re after then travel to Forza D’Agro and Savoca. 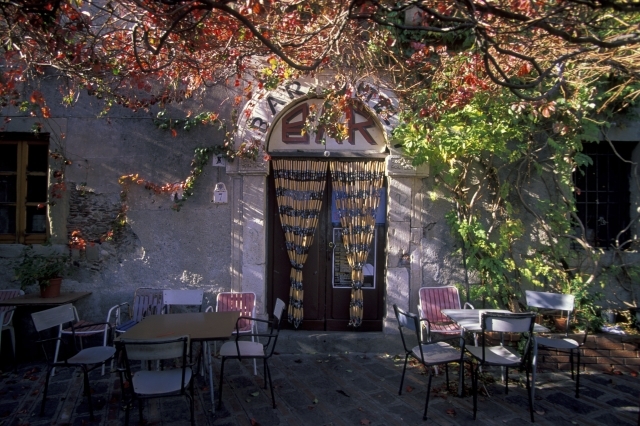 It’s in Savoca where you can find Bar Vitelli and the church where Michael and Apollonia were married. As Bond, Sean Connery visited Amsterdam in the 1971 film Diamonds Are Forever, where he impersonates a smuggler. The impressive Skinny Bridge, or Magere Brug, over Amsterdam’s canal is featured within the shots filmed in this vibrant city, which you can still visit today and is especially beautiful seen lit up at night. During his mission to meet contact Tiffany Case, Bond travels to a canal-side house, situated on Reguliersgracht 36 - it retains much of its appearance from when filming took place in the 70s. Federico Fellini’s La Dolce Vita is known for having some of the most iconic cinematic shots in film history. The Via Vento is the elegant street in which most of the film centred around, and during the 1950s and 60s was famed for its well-known and wealthy clientele. 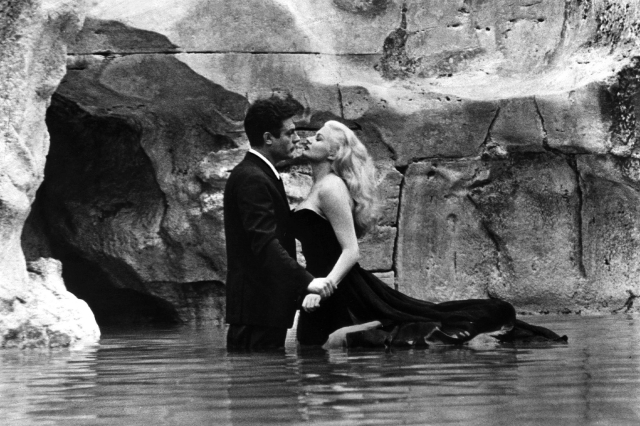 Next, make your way to the Roman baths of Caracalla’s Thermals (Terme Di Caracalla) where Anita Ekberg danced with Marcello Mastroianni before heading back to the city for that fountain scene. The famous Trevi Fountain was where Ekberg and Mastroianna created some of the most famous cinematic scenes ever. While it’s a huge tourist hotspot, it’s well worth a visit to take in this iconic filming location. A Room with a View, the film adaptation of E.M Forster’s novel from 1985, showcases some of the best sights of historic Florence. The 'view' the title refers to is that of the Ponte Vecchio over the Arno River. You can admire the bridge from afar or stroll across it yourself, where you’ll find an array of shops and merchants set up along it. You can also follow in Helena Bonham-Carter’s footsteps and visit the Basilica of San Croce, where you can find Dante’s tomb, and Piazza della Signoria, Bonham-Carter witnesses a knife fight and is rescued by the handsome Emerson, played by Julien Sands.